Scanspeak 15W/8434G00 Mid Woofer - Discovery Range. 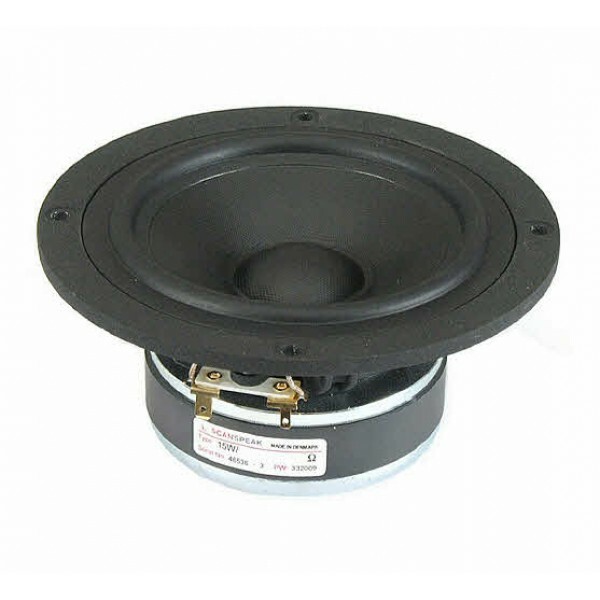 6" 8 ohm MidWoofer, High output, excellent midrange performance. Aluminium Ring Magnet System. Coated Glass Fibre cone, die cast aluminium chassis ( vented below spider), and a low damping SBR Rubber surround.